With sunscreen, developed from active ingredients that aim at meeting the most diverse needs to complete hairstyles with long-lasting result and resistant to moisture. 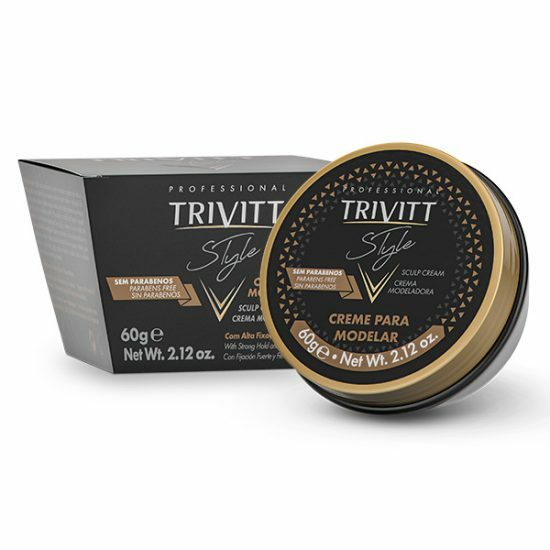 Moisturizing formula of Trivitt Style protects hair from dryness and roughness, besides providing shine and brushability. It maintains styling even in high-humidity environments, for being cationic provides conditioning, does not leave residues in the strands, and it is easily removed with shampoo. 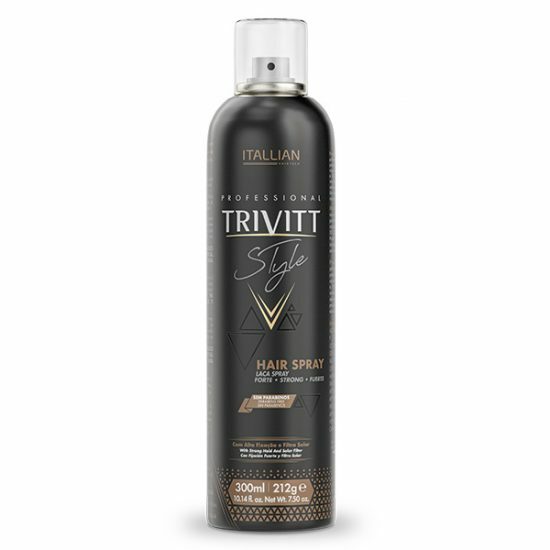 Trivitt Style Spray of Intense Shine provides luminosity to hairstyle while protecting the hair. Enhances and highlights hairstyle with brilliant shine, leaving hair soft and light for being oil-free to the touch. Provides hair with soft and silky-touch, giving brilliant shine, easily spread through strands, has velvety touch and oil free. Hair Spray Lacca Strong has strong fixation and fast-dry for a hairstyle resistant to humidity. Leaves hairstyle with shine, protecting from frizz without leaving residues in the hair. Combination of Agents for Fixation and Styling: Polymers with great adhesion to hair fiber, very used in spraying systems. Provides strong fixation, even in high-humidity environments, gives shine, does not leave residues in the hair, fast-dry, polymers can be easily removed when brushing hair, or in the next washing, by applying shampoo. 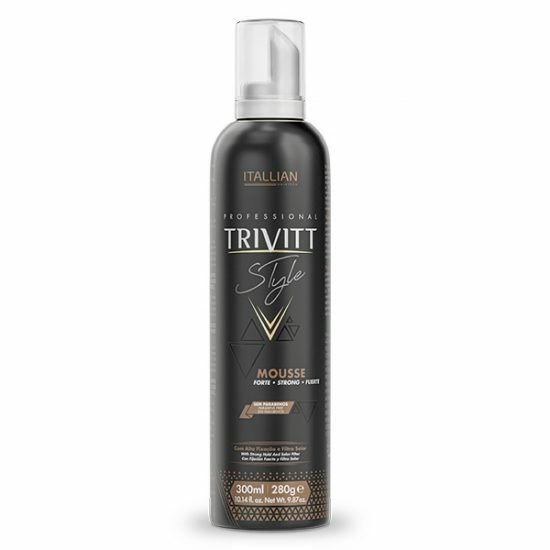 Itallian Trivitt Style Mousse makes easy the creation of hairstyles with strong fixation, shine and conditioning. Protects the hair from moisture and from the ultraviolet rays with UV sun protection, besides leaving strands soft and without residues. Agents for Fixation and Styling: Polymer with great adhesion to hair fiber, very used in aerosol systems. Provides strong fixation, even in high-humidity environments, does not leave residues in the hair, polymers can be easily removed when brushing hair, or in the next washing, by applying shampoo.